Do you take this man, William Martin? Do you take his name, his song? But not for you, his humble wife. Did he take this inoffensive woman? Did he take your name, your song? Despite his 'genius', William found difficulty in attending to the practical things of life and relied increasingly on his wife's devotion to feed and clothe him from the proceeds of her dressmaking. Thus released, William devoted himself with great energy to his own peculiar philosophy, and the list of his inventions grew longer and longer. 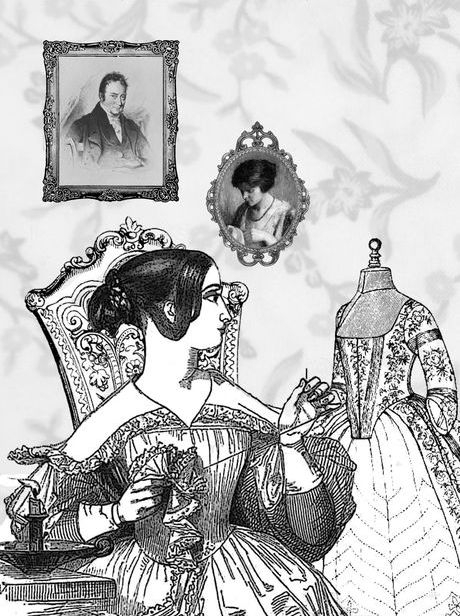 William Martin wrote of his wife that she was "an inoffensive woman, respected both by rich and poor, and a celebrated dress-maker who had upwards of sixty apprentices during the time she was in business". She was "A jewel of a woman with a love amounting to devotion for her eccentric husband, who may be said to have been for years mainly fed and clad by the produce of her industriously-plied needle. On her deathbed the only concern she felt was who would take care of William, for she knew he could not take care of himself, as clever as he was."